ThemeShop is what everyone's need for now, because as you all know about the recent update. That if the site is not mobile friendly / responsive, it wont be indexed by Google search engine in any search made from mobile devices. 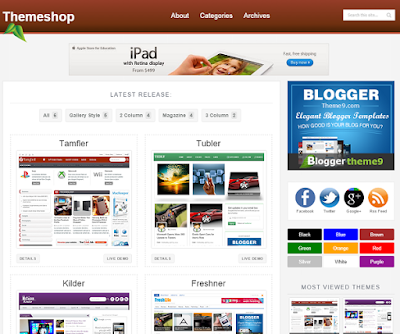 ThemeShop is SEO optimized and 100% responsive theme that works best on any device. Theme Shop blogger template can be used on gallery, Templates Showcase, Gallery showcase or any other Photography site.